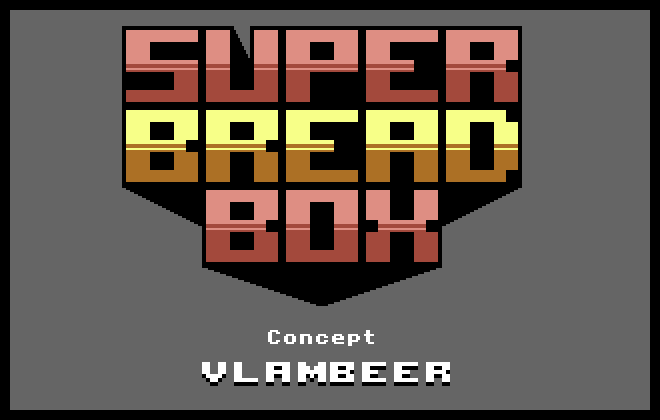 Vlambeer's SUPER BREAD BOX is coming to bring back the glory of the golden arcade age, when all that really mattered was getting on that high score list. Grab your baseball cap and loosen your pants, it's time to fight endless hordes of enemies and collect every weapon crate you can. 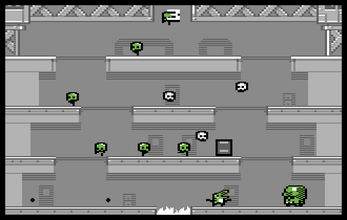 Prepare for an arcade delight with tight controls, refreshing game mechanics, cracking retro art and a terribly hip chiptune soundtrack. 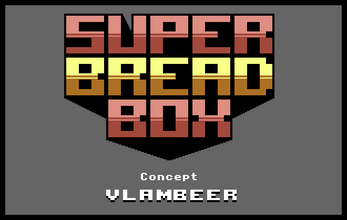 SUPER BREAD BOX is an official conversion of the 2010 indie classic SUPER CRATE BOX for the C64 computer, developed by Commodore enthusiast Paul Koller and published on cartridge by Vlambeer and RGCD. A cut-down version of Super Bread Box was developed for the 2012 RGCD 16K C64 Game Development Competition, which it won. 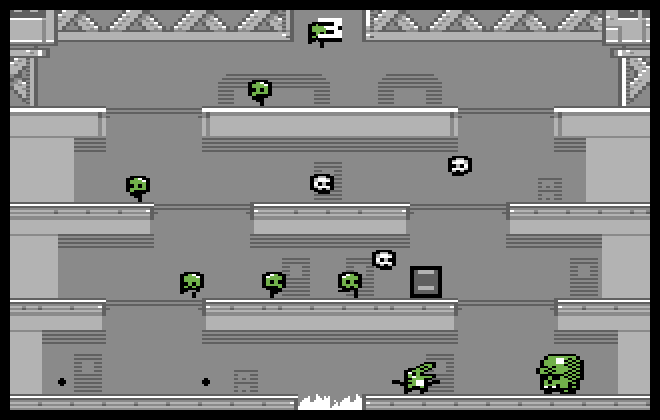 Since then it has grown to become a full game that includes almost all of the features of the original, as well as three new and exclusive levels and additional playable characters from the modern day C64 and indie gaming scene! 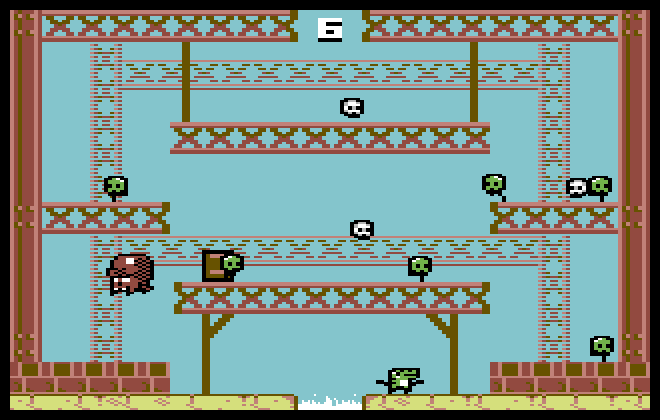 Formerly exclusive to C64 cartridge, but now available for FREE download, SUPER BREAD BOX drop-kicks your Commodore 64 into the 21st century with its award-winning gameplay and dedicated, official website complete with online leaderboards and a worldwide 'total bread boxes collected' counter. Futuristic! Online high score tables and bread box counter! Three all-new exclusive levels to unlock! Password and disk save systems! Heavyweight SID chip funk by Encore! 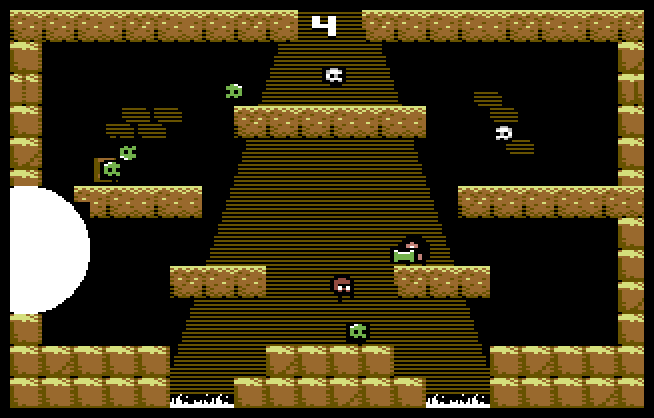 The digital version available here is primarily for use with emulators, but can also be run on a real C64 via hardware such as the 1541 Ultimate II. For emulator users, we recommend VICE, as it works on a variety of operating systems and is very user friendly. In fact, we've even included a pre-configured Windows, Mac and Linux version of the emulator with the download as well as some simple user instructions (we're nice like that). 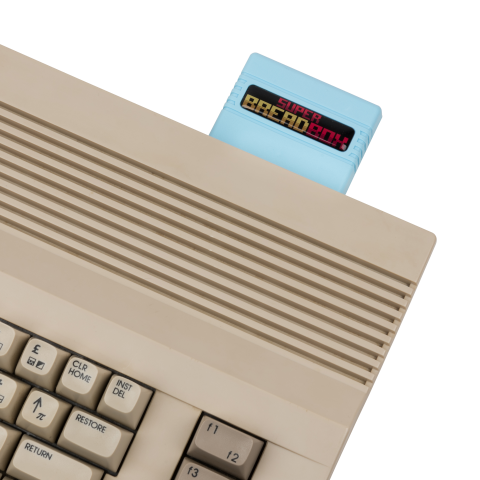 Buy SUPER BREAD BOX on Cartridge for your Commodore 64 Computer! 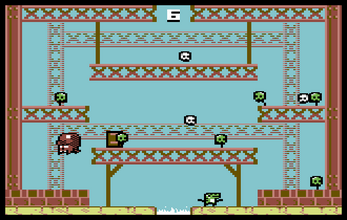 Enjoyed playing SUPER BREAD BOX via emulation? Have an old Commodore 64 stashed away in the loft? Well, you'd be a fool not to grab a mega-collectable physical copy! 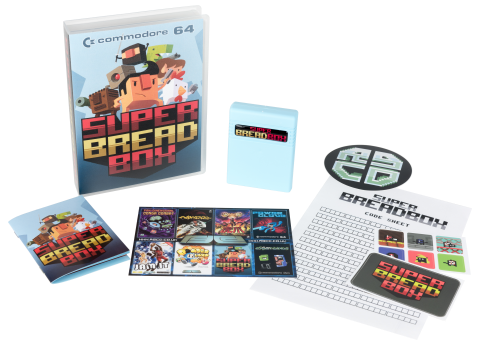 The SUPER BREAD BOX game cartridge comes boxed with a manual, an A3 poster illustrated by Ilija Melentijevic (iLKke), two code sheets, little vinyl stickers and everything, just like in the good old days! (A2 and A3 poster bundles are also available for purchase).